Want to make the most of your teeth and start smiling with confidence again? Smile Street offers a variety of cosmetic dental services and procedures which can help restore functionality and improve appearance. Our staff is highly understanding and will take the time to listen to your concerns—finding a solution that is tailored just for you. Give our approachable team a call at either our Coolangatta or Murwillumbah branches. 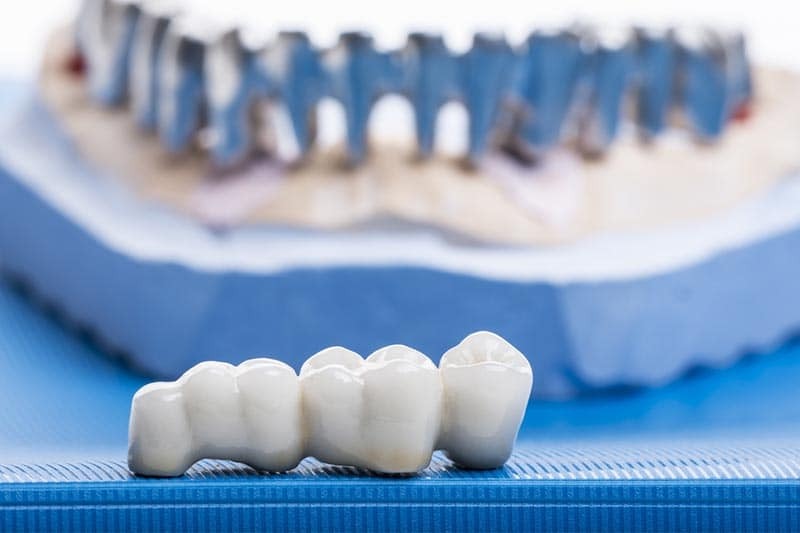 If your natural tooth is damaged, fractures or weakened significantly, your dentist may recommend the addition of a crown. The process involves filing down the tooth and reshaping it into a smaller size. This allows the crown to fit like a cap over the ‘preparation’ and is permanently cemented into position. For missing teeth, or those that have to be extracted, a bridge can cover this space, restoring the look and functionality of your smile. This cosmetic dental treatment consists of one or more false teeth attached between 2 crowns. This procedure is suitable when either side of the space has had some previous dental treatment and would also benefit from having a crown. If both adjacent teeth are pristine, healthy and damage-free, you may instead consider having a single dental implant (see Dental Implants) to replace the missing gap. At Smile Street, we support local Australian-owned and operated dental labs for all our crown and bridge work. 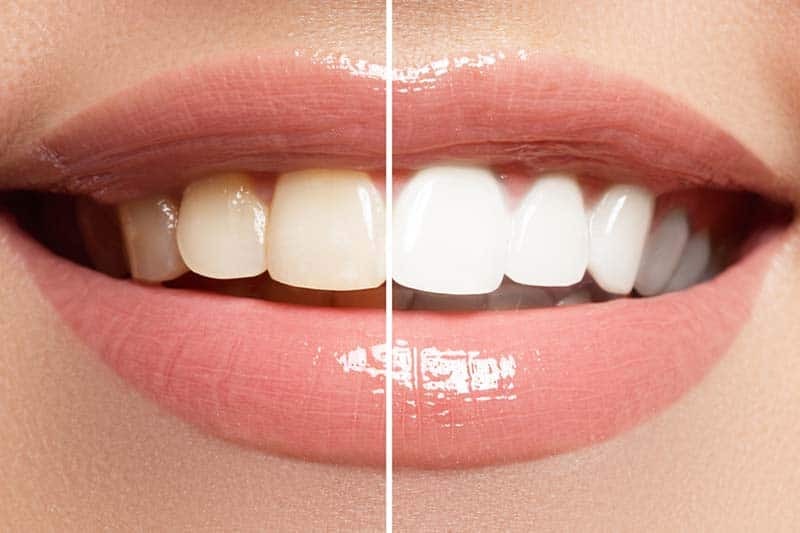 Are you unhappy with the colour of your teeth? Professional in-clinic whitening is a fast and straightforward method of brightening up your smile. A thorough dental examination is the best way to determine if you are an appropriate candidate for whitening. Teeth or gum sensitivity may also be addressed during this appointment. Your dentist will also assess whether there is an underlying cause of the discolouration that needs to be treated first. At Smile Street, we offer an hour in-chair Philips Zoom Whitening option (with complimentary Netflix entertainment) or a take-home whitening kit to lighten your teeth in the comfort of your own home. Please phone our reception staff for more information. InvisalignGo is the clear alternative to straightening your teeth. Ever thought that you just want to refine your smile and make your teeth straighter but don’t want to wear braces? 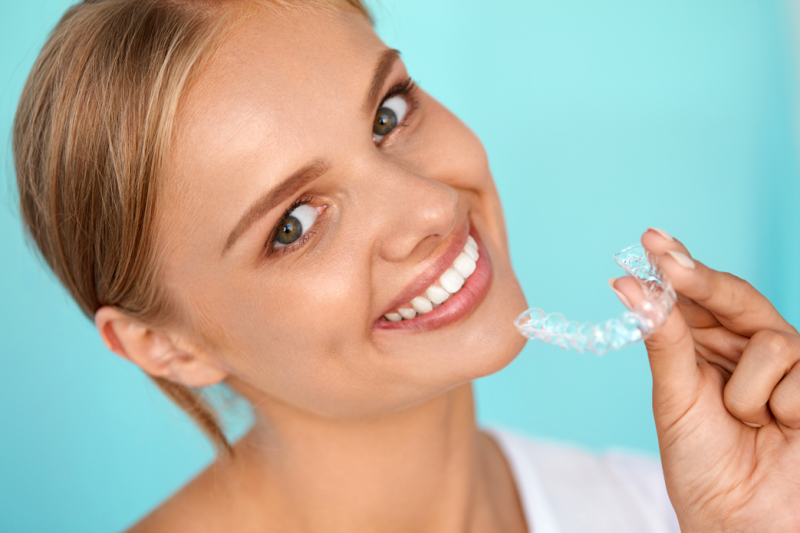 Invisalign is the virtually invisible solution! This means you can always smile with confidence. The treatment usually takes approximately 3-5 months for most patients! The aligners are made with SmartTrack® flexible material, making it super easy to put on and remove. Now, you can enjoy your favourite food any time you want without holding back. Invisalign treatment allows you to visualise every stage of the treatment, giving you a clearer picture of the treatment duration. Since Invisalign aligners are removable, you can still floss and brush your teeth as per normal! Contact us for more information about Invisalign Go! Braces are the quickest way to straighten teeth. With lots of fun colours to choose from to brighten your smile.